A cyanotype of Aaron Dwight Stevens, 1831-1860, from a drawing made by Samuel J. 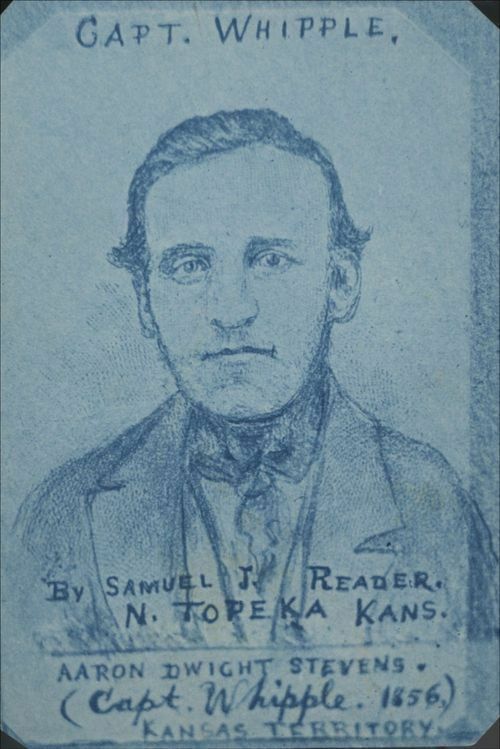 Reader of Shawnee County, Kansas Territory. Stevens, reported to be one of abolitionist John Brown's bravest men, used the alias Captain Charles Whipple while following Brown. Stevens was convicted of treason and conspiring with slaves for his part in Brown's October 16, 1859 raid on Harpers Ferry, Virginia, and was hung at Charles Town, Virginia on March 16, 1860.